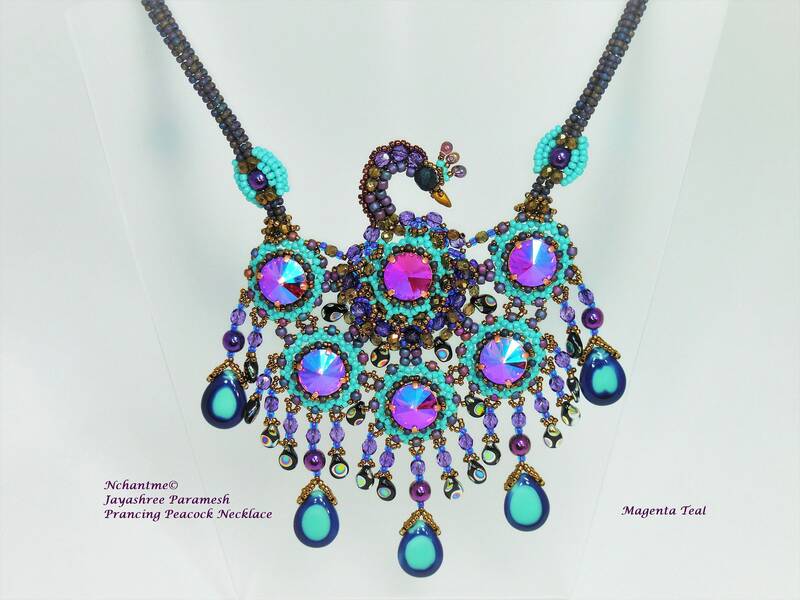 Prancing Peacock Necklace features a stylized graceful peacock in rich Swarovski Crystals, Czech beads and seed beads. 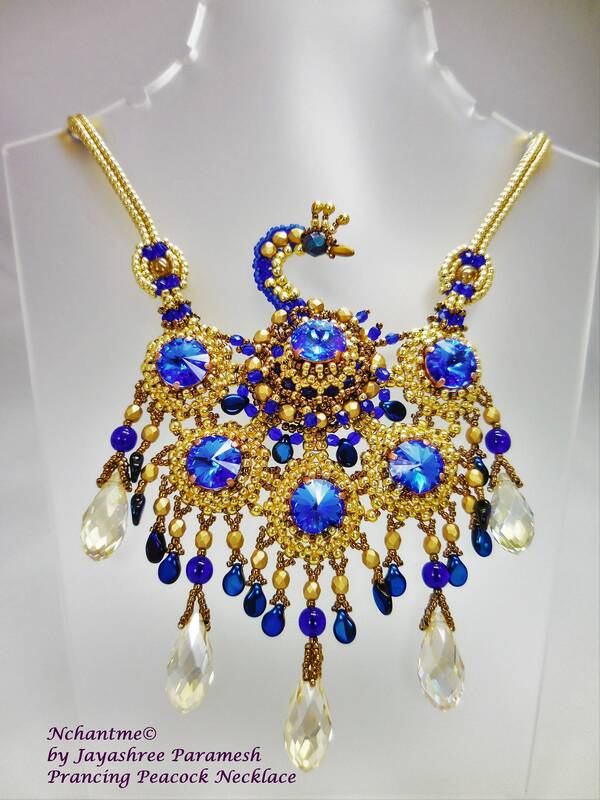 Small, dimensional beaded components in crystals and seed beads are stitched together to form a glittering display of peacock feathers. 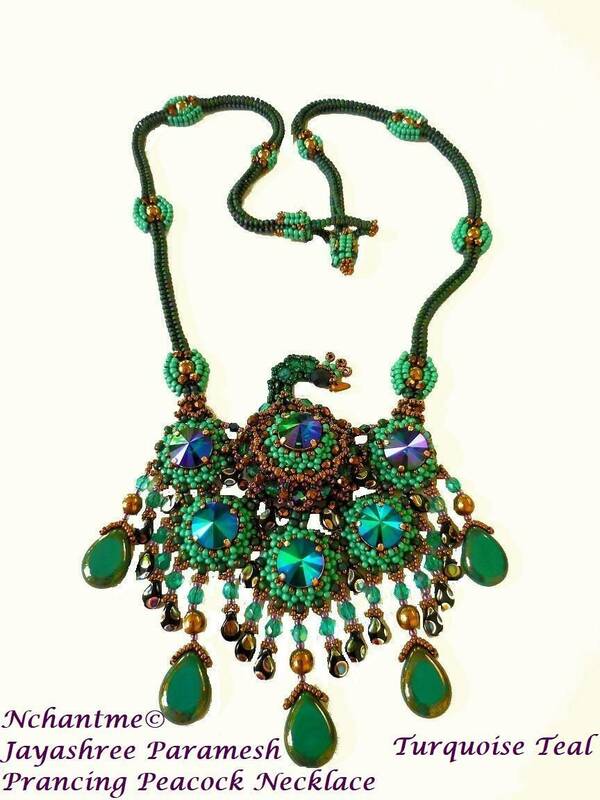 The rope is embellished with feather motif reflecting the colors of the peacock. 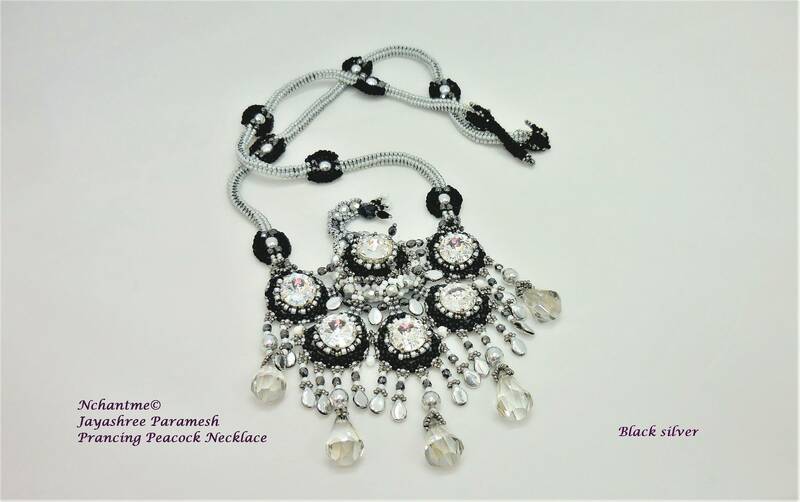 The beaded clasp is stunning in design to match the pendant. 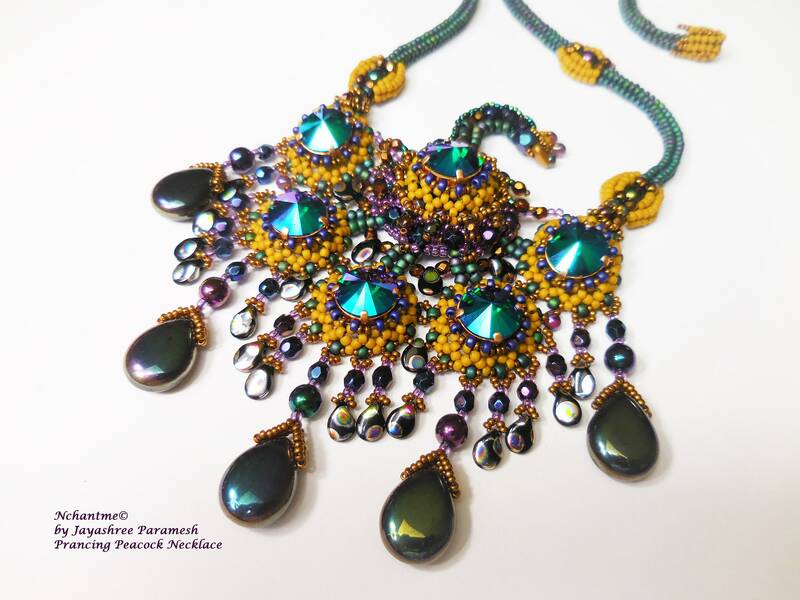 This is a beadweaving project and not bead embroidery. Techniques: Ndebele Herringbone, square, peyote and other stitches. Level: Confident Intermediate to Advanced. Tutorial is a detailed step-by-step pattern with a whopping 146 digital illustrations and several photos to make the project as easy as possible. The tutorial is 18 pages long. 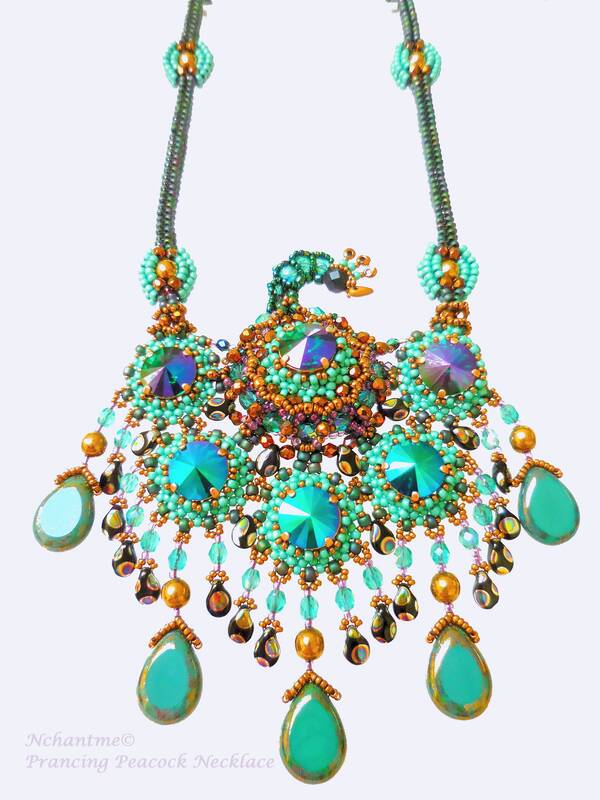 Several types of beads and crystals have been used to create this necklace with texture, depth and dimension. 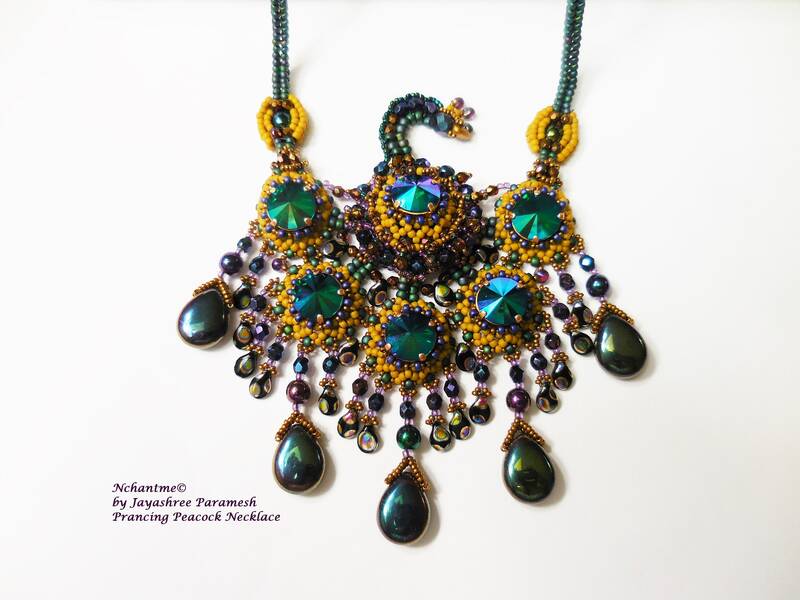 Have fun mixing and matching colors as no color is too wild for a peacock!